The Grand Budapest Hotel is directed by Wes Anderson, which means that it's going to be quirky and unlike any film you've seen before. If you've seen The Darjeeling Limited, Fantastic Mr. Fox, or Moonrise Kingdom, you already have had a taste of his style and preference for being unusual. This movie started off promisingly but was soon slow in parts, and although overall I enjoyed it, I found myself getting restless near the end of it. Pay attention, because this is a story within a story within a story ... and I may be missing "a story" somewhere there too. At the beginning of the movie, a young girl is walking and reading a book entitled The Grand Budapest Hotel. We then meet our narrator (Jude Law) who is staying at the hotel in the '80s, when it's not even half of the palatial residence it used to be. He meets a Mr. Moustafa (F. Murray Abraham), who is the owner of the hotel, but the circumstances upon which he came into possession of the hotel is a very long and intricate story - it goes back to before the days of war, when the hotel was in its prime, and Mr. Moustafa was just a Lobby Boy, under the tutelage of an M. Gustave (Ralph Fiennes). A host of recognizable faces pop up during this story, as we learn how Mr. Moustafa transitions from one of the lowest-ranked employees of the hotel to the eventual owner - and the sad events that lead to this, as well. This film had so many cameos and it was entertaining to see who would arrive next. Ralph Fiennes, Adrian Brody, and Willem Dafoe had more substantial roles, but you'll also see Jeff Goldblum, Harvey Keitel, Bill Murray, Edward Norton, Jason Schwartzman, Tom Wilkinson, and more. I didn't know until after the movie that Tilda Swinton plays an 84-year-old - she's definitely unrecognizable - and Saoirse Ronan plays Agatha, whom the young Zero Moustafa (Tony Revolori) tries to court. Maybe see this film. This is one of the rare instances where I'm giving the film a good star rating but a Maybe instead of a Yes. Anderson definitely has a unique way of seeing things, and the film itself isn't even in your standard 16:9 ratio for most of it. There are quick cuts and interesting POVs (Point of Views) throughout the movie, and overall I did like his style. However, like I mentioned before, the quirkiness of it starts to wear on you a bit by the end, but luckily the film's runtime isn't too long (less than two hours). I'd recommend this movie for anyone who is a fan of Anderson's previous work, or anyone who enjoys an interesting story told in a different way. 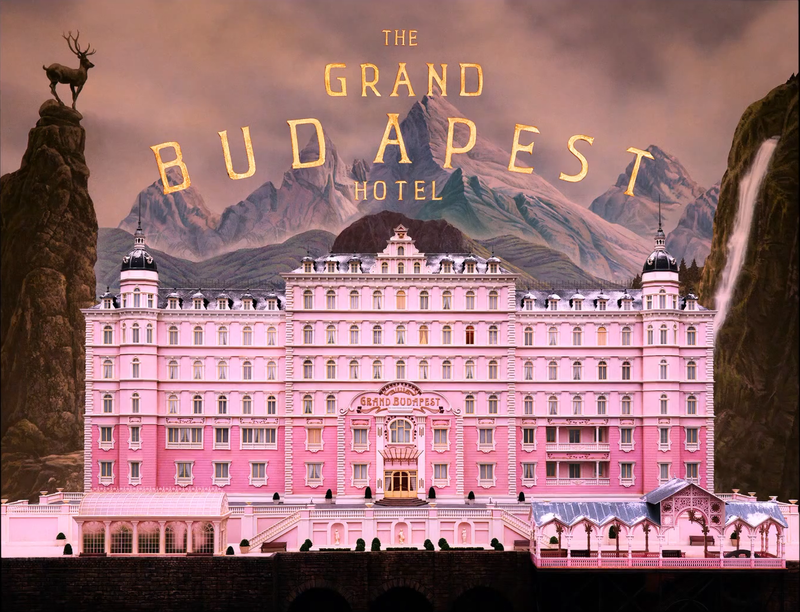 The Grand Budapest Hotel is currently playing in theaters, and is rated R with a runtime of 100 minutes. 3.5 stars out of 5. I've seen commercials for it but I couldn't tell from them what it was about. I have a better feel now. I have to say the commercials aren't that elucidating, I agree. I thought it was going to be about Ralph Fiennes, and it is, but it's someone else telling the story. I really really really want to stream rent this- Not just for the cameos, but for the quirky Tarentino like feel of the storytelling. I do enjoy these cameo films, and quirky suits me fine. But based on your review, I now will wait for it to come out on video. Thanks as always! 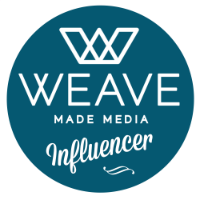 *Disclosure: This is a Fashionista Event and a promotional item was provided to me. Hosts for this event are Still Blonde after all these Years and ModlyChic. 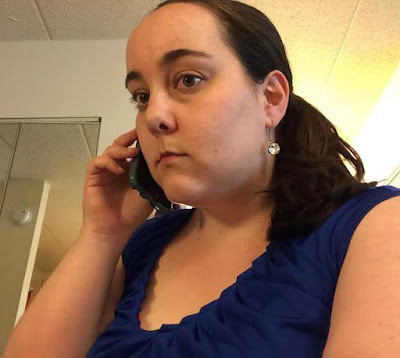 So we've all been there ... that time when you're on an important phone call, and then the call drops. Or even when you need to use the internet on your smartphone, only to realize that you're at your data limit for the month. I drive all over the metro Detroit area for movie screenings; because of this, most of the time I know where I'm going, but sometimes, I'm in an unfamiliar area or at an unfamiliar theater and I need GPS to know how to get there and back. *Disclosure: This is a sponsored post. The opinions expressed here, however, are my own. As long-time readers of this blog surely know, I travel quite a lot. A few years ago, I only took about 2-3 trips per year, not including trips in the state of Michigan (Grand Haven weekends, etc. ), but this past year, I was fortunate in that I was able to travel very frequently. I recently heard about a new travel site, DirectHotels.com, which is similar to Kayak.com, in that it searches all of the other travel sites (Orbitz, Expedia, etc.) to find the best deals for you. I gave it a bit of a test run to see if that is indeed true. DirectHotels.com is a new hotel comparison tool that challenges the big brands. Travelers can easily compare all the travel sites in one place to find the cheapest hotel. DirectHotels.com compares over 200 bookings sites, so users can be sure about its accuracy. Using DirectHotels.com means that you will never overpay. Valentine's Day is coming up this week, and Dunkin' has released some seasonal doughnuts to celebrate! Valentine’s Day is all about love, but why stay trapped in the clichés of the holiday to express it? To help guests say it with donuts, and ease some of the holiday’s stress and high expectations, this year Dunkin’ is offering new choices as rich, diverse and dynamic as love itself. Dunkin’ today unveiled its Valentine’s Day lineup, including new Bling Sprinkles Donuts, the return of heart-shaped donuts and its first ever donut that features a perfect pairing of two delicious fillings. 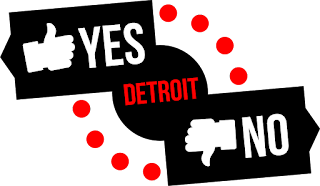 Visit Liz - Yes/No Detroit's profile on Pinterest.